Travel picnic blanket made of poly-cotton fleece. 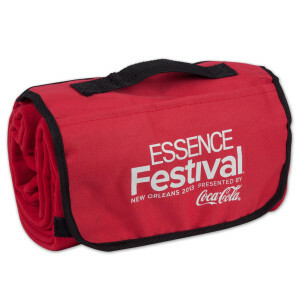 Features a front pocket with velcro closure and carry handle, perfect for that picnic in the park. Unfolded blanket size : 46" W x 54" L.